Last month, the Department of Education released its 124-page, information-packed National Education Technology Plan. I spoke with Karen Cator, the Director of the Office of Educational Technology, about the reality of implementing some of these guidlines into the existing public education system. Her answers were direct, forthright, and sensible. It's apparent that the authors spent a great deal of time finding forward-thinking examples that educators and administrators can use as guides. Here's part one of our conversation. - The National Education Technology Plan has been out for a month now. What's been the reaction so far from the education community? It’s been predominantly positive. In general, some have said it’s too visionary or too far out, and some have said it hasn’t gone far enough, so I think probably we struck a balance in the middle. - What advice do you have for states and districts that may want to provide unfiltered broadband access in schools (to allow YouTube, Facebook, etc.) 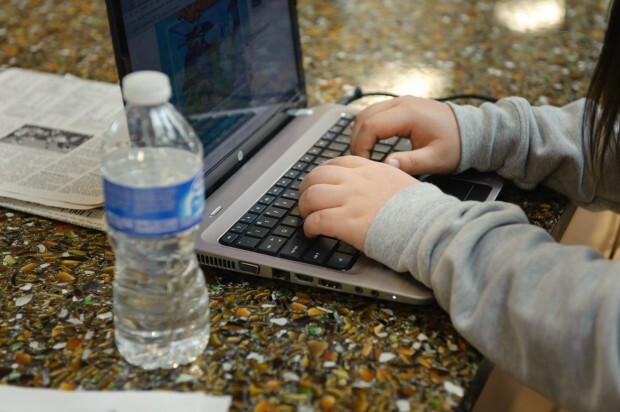 as teaching tools, but must comply with Children's Internet Protection Act? The bottom line is that we do need to figure out how kids can be safe and out of harm’s way and not exposed to inappropriate materials online. But the filtering programs we have are fairly rudimentary. We need more intelligent filtering programs, safer search environments, smarter technologies so that people aren’t just shutting down large swaths of the Internet. There’s a lot on YouTube, for example, that could be safe and really instructive, but since it’s just in one bucket, a lot of schools just shut down YouTube. The other thing we need are rules that keep up with the times. And that’s hard to know, for example, whether we should we allow teachers to be friends online with students in a social network. It depends on what the purpose is, is it homework assignment, are they purposely engaged in appropriate roles of teacher and students. So we need better rules. But overall, we need an ever-better education framework for teachers and students to understand these technologies. When new technology comes out, students may be the first to understand how it’s used. And in schools we tend towards being risk averse -- for very good reasons -- but we tend to shut them down. Our students are going to grow up in a globally networked society and we want to teach them the rules of the road. What we’re finding now is that social networking in particular, poses pretty significant problems with cyberbullying. So the question is, can we create closed social networks so students in a safe environment can learn how to collaborate online, be social online, how to behave well online, and understand that their voices are amplified. The School at Columbia University in New York City, for example, has their own internal social network that they’re all a part of that’s not open to the outside world. It’s an environment for elementary school students to learn how to work with each other online. Our students are going to grow up in a globally networked society and we want to teach them the rules of the road, to stay safe, to keep their information secure, how to maintain privacy, and how to behave appropriately online. And how these closed social networks manage themselves might be an interesting place to do this. - The NETP specifically points out schools that use cell phones as teaching tools. How do you respond to those who view cell phones as distractions? We need to basically admit that we live in a world of distractions. The ability to engage students becomes maybe more difficult, but also more important. Getting students involved in interesting learning projects, things that will keep their attention, their engagement, those are the kinds of things that need to be developed still. Cell phones have some of those tools that can be helpful during the course of the day. They have the whole Internet (or some do), they do have calculators, and a variety of tools and resources that could be helpful throughout the school day. So we’re balancing the question of, if we let cell phones into class, are they going to be so distracted texting and doing other things rather than doing what teachers want them to do. That’s a classroom management issue that we have to continue to stay on top of. - Just like any other classroom management issue. Right, it really is. A lot of this is the same behavior and a new opportunity to do it.